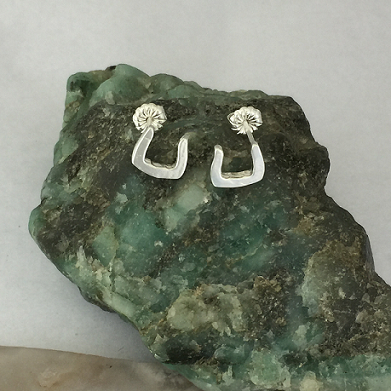 Gorgeous small draft horseshoe earrings that anyone can wear. These are perfect for everyday or pairing with another favorite. They square bottom is made especially for the draft making them a symbol of the breed. Made in a left and right keeps these little guys positioned perfectly on any size earring.